SBI PO Last Minute Tips 2019- SBI PO Examination is one of the toughest exams in Banking. As there will be an additional section of Essay writing and letter writing, the level of competition in SBI PO is higher than any other banking examination. So you need to prepare really well to get selected for the interviews. 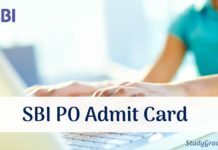 SBI PO 2019 is scheduled to be held in the first week of July 2019 in online mode. The exam will be conducted in 03 phases i.e. Prelims, Main and Group Exercise & Interview. 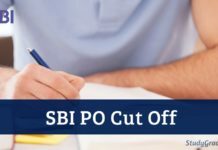 Here are 06 awesome SBI PO Last Minute Tips that will surely help you to score well in the examination. In any banking examination, time is a key factor, so you need to be really fast while attempting the questions. Don’t waste time on any particular question. If it is too calculative or if you think you get stuck, move on to the next question immediately and leave that question to attempt in last, if you get a chance. Even while practicing questions at home, try to be as fast as you can. By now you must have covered all the topics, Take at least 05 Mock tests a few days before the examination. Mock tests are always the best way to increase your speed. It gives you a clearer picture of the examination as Mock tests are designed as per the pattern of the examination. So you get to know the pattern as well as the difficulty level of the questions. Fix a time limit for each section. If you have decided to give 35 minutes to the reasoning section, then do not give more than 35 minutes to the section. 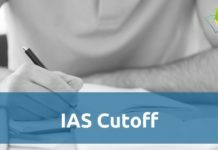 Attempt 20-3 questions in each section and remember as there will be sectional cut off, so in order to qualify the examination, you need to do well in all the section to clear the sectional as well as overall cut off. After days of preparation, always make sure that you use the last few weeks to revise everything that you have studied till now. 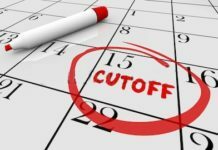 It is also suggested to not start any new topic in the last week. Pay attention to topics that you have covered and always make sure that you do not leave any important topic that has more weightage in the examination. Revise notes, important topics, cubes, squares, formulas, current affairs and many other things which are important to perform well in the examination. Stick to the syllabus and revise topic wise. Make sure that you don’t miss any topic to revise. Many students often ignore this important factor but staying confident and positive before the examination is very important. That’s how your mind gets the power to perform well in the examination. So trust your inner self and your preparation, don’t get panic and don’t think too much. Say to yourself that “You can”, and you will notice that you’ll feel more confident to take the examination. Take small breaks between the studying hours to relax, to listen to music or to go for a walk. It refreshes your mind and you study with better focus and concentration. As this section is very wide, from current happenings, financial news and economic news, there is so much to study. So make sure that you give ample amount to revise everything that you have studied in this section. Revise Capital and currency, important days, Important government schemes, chief ministers of all states, and other important events. Stay Connected With StudyGrades for Latest Updates on SBI PO Last Minute Tips 2019!